Painting is enjoying a remarkable creative renaissance in the 21st century. 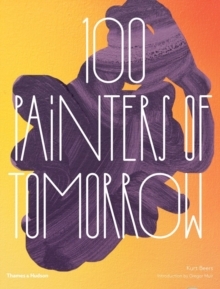 100 Painters of Tomorrow aims to identify and nurture a wellspring of new artistic talent, creating the definitive global guide to the outstanding painters of the future. Richly illustrated with more than 300 colour images, the book features texts giving essential biographical information on these rising stars, accompanied by quotations from the artists themselves, providing personal insights into their thinking and practice. The endmatter includes a further 200 painters as `Ones to Watch', as well as further reading and links to artists' websites.